Outer diameter of the pole: 1 3/16"
Innovative 9112-S-28 features foldable arms which adjust vertically up and down a 28" pole. The arms can fold up to fit in about 3" of space and extend out 14". Various pole lengths and extensions are available or can be designed to fit any application you may be looking for. Unique cable management allows cables to tucked under the forearm extensions. 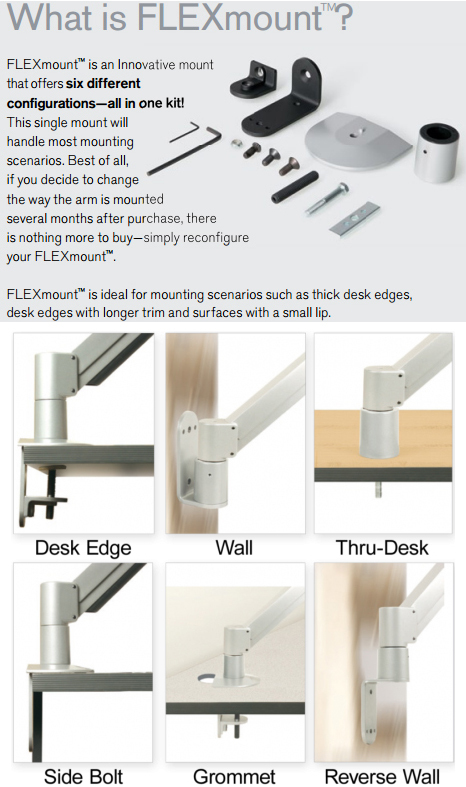 The 9112-S-28 articulating monitor arm mounts directly to the desktop for space-saving ergonomic comfort. 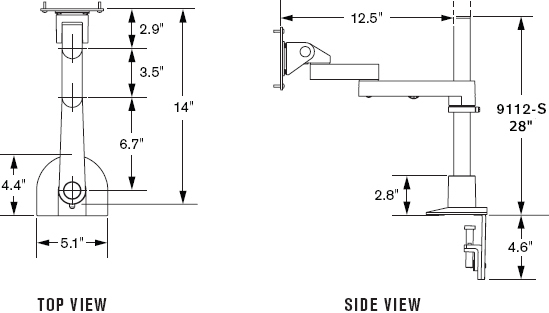 Easily adjust the monitor arm vertically along the 28" pole mount.